Psychologists might say NEUROTIX is putting out a plea for help with their latest song, “Service Me,” but the music, at least, is quite well-adjusted. After all, it’s not every day you find a band named NEUROTIX that has such a succinct and direct approach. These guys aren’t exactly talking about having work done on their car in this track. The band’s latest single, “Service Me,” has a suggestive name but the message comes across loud and clear. 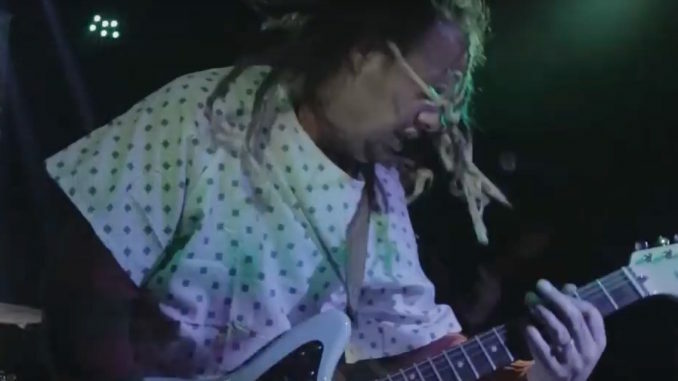 The band needs something bad, they do perform in hospital garb. But one thing they don’t need is any coaching on how to make a great record. Blending the influences of Interpol with Nirvana and putting it all in a punk-style delivery is a positive trademark for Chicago-based NEUROTIX in their quest for assistance. Their last single, called “Loser,” hit some of the high points — and the video is entertaining — but their newest release smashes that great effort to bits. The musicians on the album are Dominic Tonozzi on lead vocals and guitar, Paul Rhyne on lead guitar, Carlo Tamayo on bass and vocals and Dave Reisig on drums and vocals. The guys call it “grunge,” and claim they’re bringing back a genre that disappeared when Kurt Cobain left us. 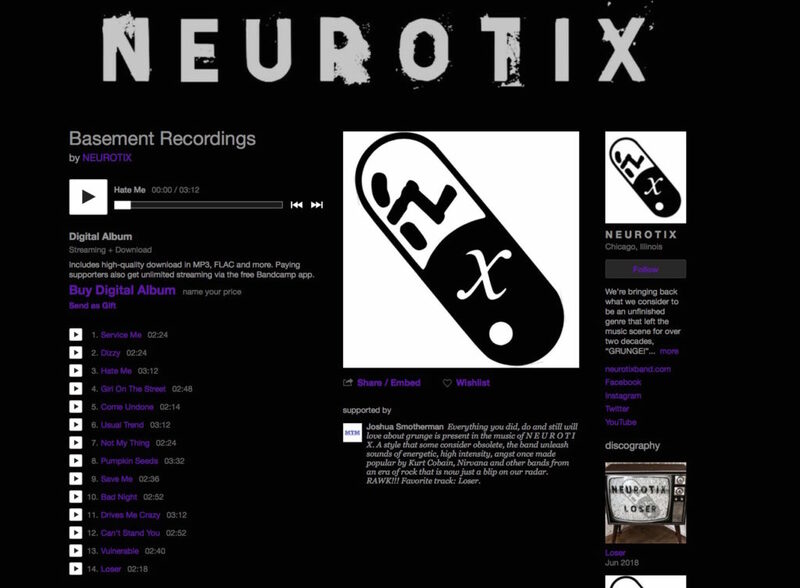 But NEUROTIX’ music is clearly based in the punk sound and it’s appealing to anyone who loves good punk rock. The previous single, “Loser” is really more of a trantrum than it is an actual song, but it works. “Service Me” follows up in tone and delivers a punch that creates a grateful audience in its wake. And as far as getting help goes, thank goodness we got it in the nick of time with this dynamic sound. More music please.